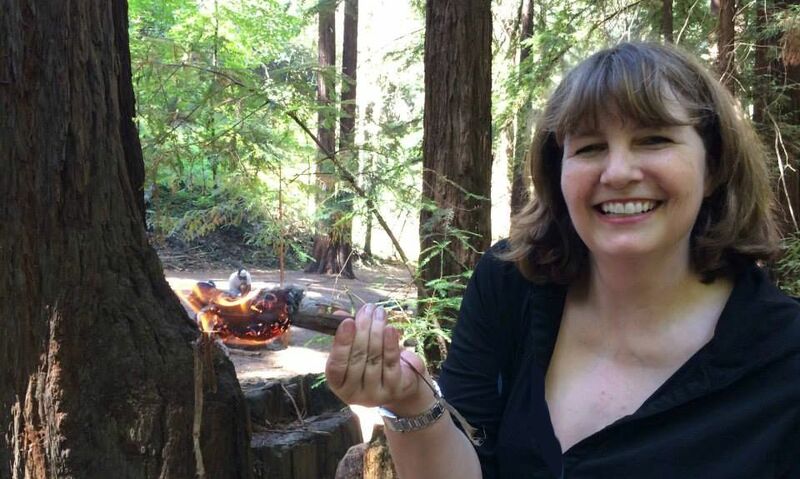 As I mentioned in the previous post, at the beginning of August, I attended the California Survival School Core Skills class. What a fantastic day! We started with creating shelter and finding/sanitizing water, then we moved on to finding simple foods (small game hunting is a higher tier class – which I can’t wait to take!) and finally fire. I was surprised at the abundance of food readily available in the wilderness. Granted, we were working on the assumption that one would not be lost in these mountains for an extended period of time–a week at the most. The meals would not be extensive, but they would hold off starvation and give energy to do what must be done for survival. 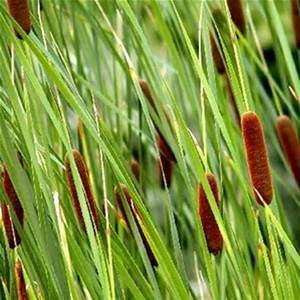 The cattail, which grows in abundance along many natural waterways, is a fantastic plant for filling the belly with most parts being edible and nutritious; however, I wasn’t particularly fond of the taste. I was surprised that I enjoyed the taste of the fresh pine shoots, although I think I was the only one in the group that did. There were other foods available, like grasses and seeds/nuts, but I’d strongly recommend taking the class so you can learn more about them. So let’s get to the making of fire. This was the most interesting part of the day for me…and the most strenuous. Due to time restraints, a few of the basic parts were given to us, although we then had to carve them to the right size and shape. The bow was the first piece to be shaped. 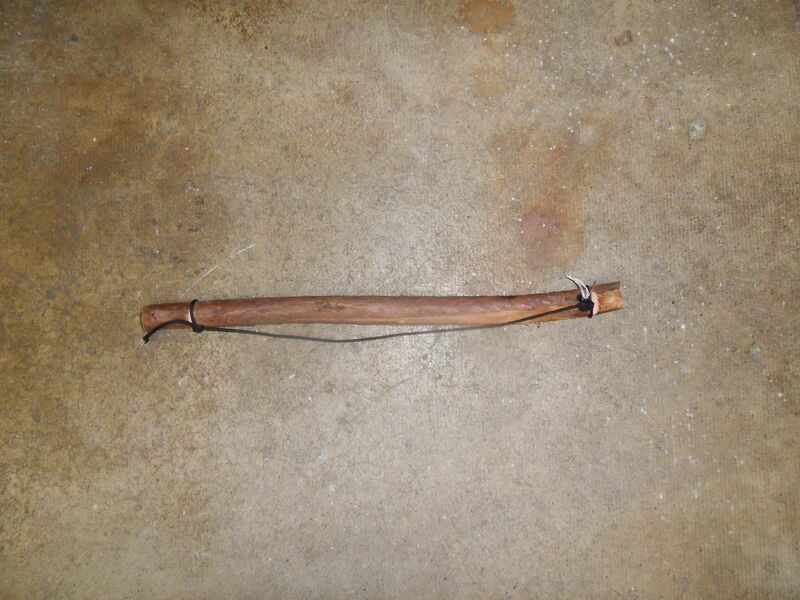 It was made from a sturdy branch, and I made notches about 1-2 inches from each end. I then tied a length of cordage at each end. The cordage can be anything you find…a shoelace, the tie cord from the waistband on your parka, vines, etc. We were given a length of parachute cord, which is something you can pick up at just about any army surplus store or hiking/outdoors-type store. This cordage is a very handy, lightweight, and inexpensive piece of equipment that should be kept in every outdoorsman’s pack! Here’s my bow. The spindle was the next part that I had to carve. A soft wood is best for this piece. 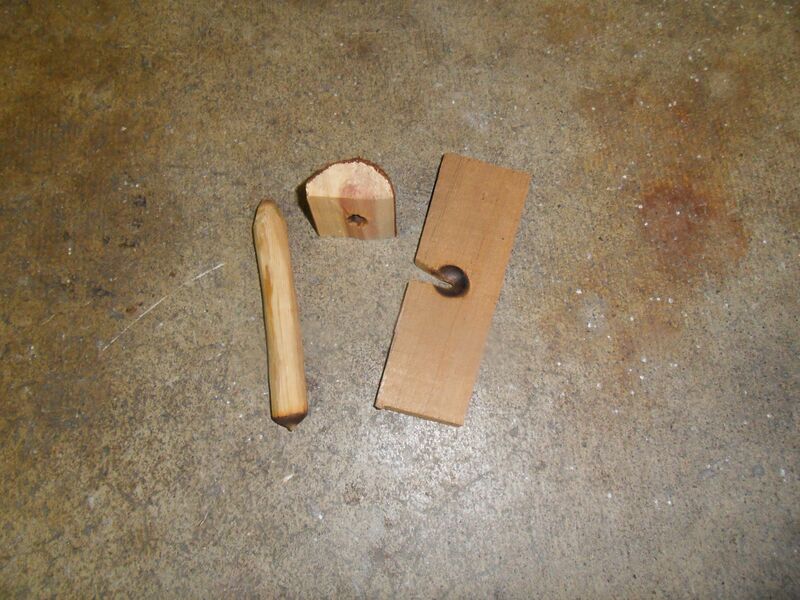 It sits between two pieces of wood–a block that will generate the ember, and another that is simply there to keep the spindle in place. Burned fingertips taught me to make the top block of wood large enough that my fingers wouldn’t inadvertently touch the spindle while it’s moving. It was one of those ‘duh!’ moments. Of course it gets hot – that’s precisely what I’m trying to do. Once the spindle is carved and the two blocks are completed, it’s time to get the bow set to the right tension. Getting that tension right ended up taking me the longest amount of time. The cordage wraps around the spindle tightly, and it’s tricky to get it just right. Here’s what it looks like when all of the pieces are put together. 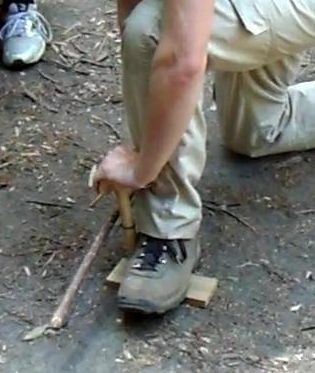 With one hand puts strong downward pressure on the top block while the other hand uses the bow to rotate the spindle back and forth. Within seconds, I saw smoke starting to come out from both ends of the spindle (and my fingertips that got too close!). I had difficulty keeping enough downward pressure, so the spindle kept popping out. Frustrating! If I’d had more time, I would have created a better way of getting that downward pressure – necessity may be the mother of invention, but laziness is the father – but instead, an instructor helped push down for me. Within a few minutes, I had copious amounts of smoke, and I felt certain that I must have a tiny coal. I pulled the spindle away and looked closely at the mess I’d made. And there it was! A tiny red ember! I oh-so-carefully moved the ember to my pile of tinder, and swaddled it like a baby. I blew large amounts of air into it and watched the ember get larger and larger until it poofed! into a blaze. I was so startled that I dropped it! 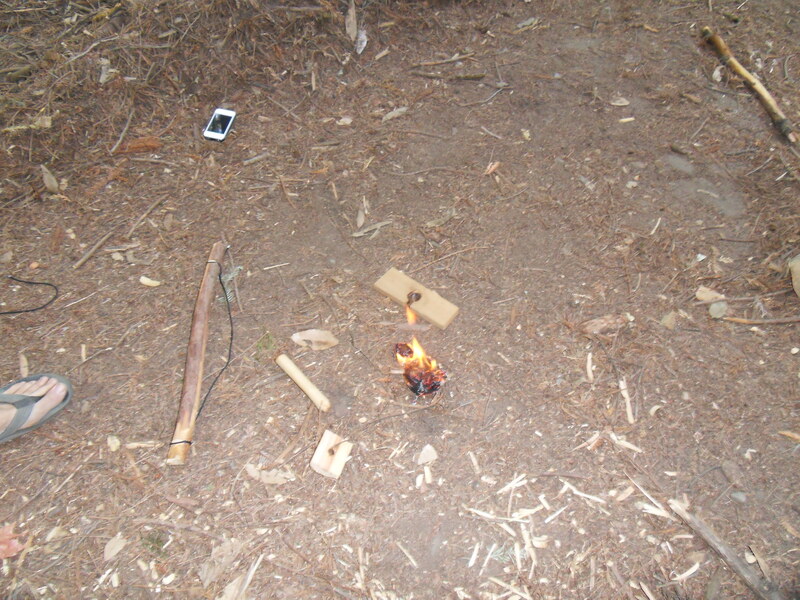 Once I got over the shock (and finished my victory dance), I picked it up again to get it into the kindling. Unfortunately, it was time to go. What an amazing experience. It was a day that I will never forget. I hope to arrange another class for my friends at Sisters in Crime and Mystery Writers of America. I’m eager to get more training! If you are interested in checking out these survival classes, I urge you to visit http://www.casurvival.com/wilderness-survival-core-skills-clinic/ They have classes in the San Francisco Bay Area as well as in Southern California.